It’s been a while since we last talked about Kate Moss, right? Well there she goes, in all her legendary glory, wearing just another little black dress with zipped front (is it just me, or La Moss has a thing for zippers? I just have this feeling that she’s a zipper girl. Anywhoo, I digress: ) And – there goes the surprise: Kate Moss wears colorful sandals! We hardly see Kate Moss wearing anything colorful, let alone this colorful! I mean, I’ve seen nails that were more colorful than Kate Moss’s entire wardrobe! So imagine how wearing a pair of $900 sandals by Christian Louboutin, the Spring Summer 2013 collection can become a social matter! So far, two official events have surprised her pairing the same sandals in two different looks, what do you think made her go for a pop of neon? 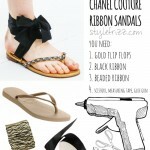 The sandals, however, besides the classic t strap look (yes, neon-colored, but still, it’s just paint – you can take your old strappy sandals and just put some sharpies to good use and there you go, a new paint job on the good ol’ sandals!) they have a python leather at the back, covering the actual heel and the high heel as well! No, not really surprised strange enough. You know what it is with this shoes…they remind of the shoes they sold in the shoe shops near the Amsterdam red light district. We went there often for design inspiration. The shops of course and I’m talking about the ’80s. A different atmosphere than these days. A lot of shoes at Net-a-Porter looks like the red light district ladies once wore. I apologise on beforehand if I hurt devoted Louboutin fans. It’s not my intention at all. And certain celebrities and Rodeo Drive women also look like the once red light district women and girls…….can’t help it…..
more proof (as if anyone really needed any) that style doesn’t come with following trends but by keeping true to your own version of fashion. She always makes it look so easy and effortless!